GALLANT KNIGHT GAMES is proud to announce the Director’s Cut of TOBIE ABAD’s A Single Moment. This new edition contains revised and expanded addition, presenting new mechanics, new playsets and new narrative guides to high stakes, dramatic storytelling! These books are brought to you by the partnership between Tobie Abad’s TAG Sessions and Gallant Knight Games. Featuring writers like Tobie himself, Carol Darnell, Rob Vaux, and many more, A Single Moment – The Director’s Cut is the definitive edition of the game that inspired new ideas and mechanics, even whole other games! Other writers in book include respected Philippine Game Designers and Storytellers such as: Nathan Briones of Project Tadhana, Lanz Frago-Crisostomo and Che de Leon of the Greasy Snitches, Mon Macutay of Abubot.ph, Adrian Martinez aka the Great Old One, Thomas Regala of The Epic Gaming Regiment. Rocky Sunico and Flip Velez. 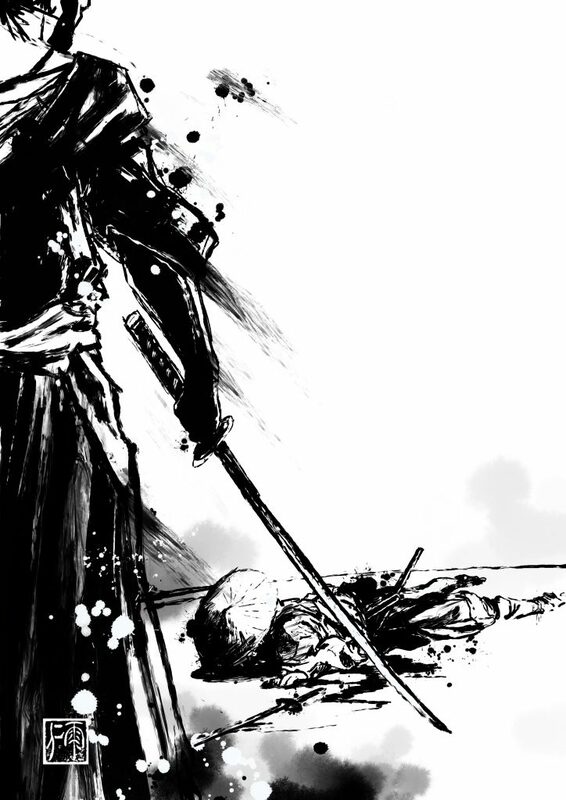 A Single Moment – The Director’s Cut is based on dramatic flashback mechanics that help unfold an ongoing narrative story of a conflict between two samurai, framed around the impending duel to the death. Players will collect dice and scars as they explore past conflicts and trauma, building up to the inevitably fatal confrontation that will bookend the session. The core book will detail the mechanics, as well as provide guidelines for narrative game play and other optional play modes! An expanded game that handle more than two players. All the tools and aids you need to play, as well as designer commentary from Tobie himself! We’ve engaged the fantastic Daniel Jimenz to provide all the gorgeous art for this book, and he’s turned in beautiful work across the board! The Kickstarter will be coming soon!